Show AWL words on this page. Show sorted lists of these words. The Academic Collocation List (ACL), developed by Kirsten Ackermann and Yu-Hua Chen using the Pearson International Corpus of Academic English (PICAE), is a list containing 2,469 of the most frequent and useful collocations which occur in written academic English. There are a total of 2,469 collocations in the ACL. On this page they are listed by type, namely adjective + noun (1773 in total), adverb + adjective (124 collocations), adverb + verb (17), adverb + past particle (124), noun + noun (62), verb + adjective (30), verb + adverb (29) and verb + noun (310). There is a different and perhaps more useful version of the list sorted by headword in another section. There is also an ACL highlighter on the website, which can be used to highlight ACL words in a text. Don't like ads? Log in now to get rid of them! Like the website? Try the book. 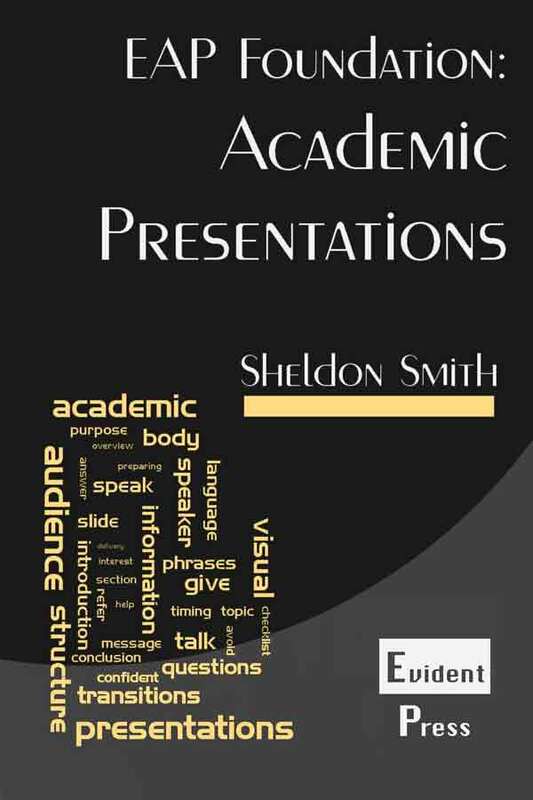 Enter your email to receive a free sample from the recently published title, EAP Foundation: Academic Presentations. Author: Sheldon Smith. Last modified: 21 January 2018. Fill out your details to receive the EAPFoundation.com newsletter. I'd love to hear from students or teachers who use the site. Whether you want to give feedback or just ask a question about EAP, feel free to email me at: [email protected].